← Interlude: a better way of choosing presidential electors? 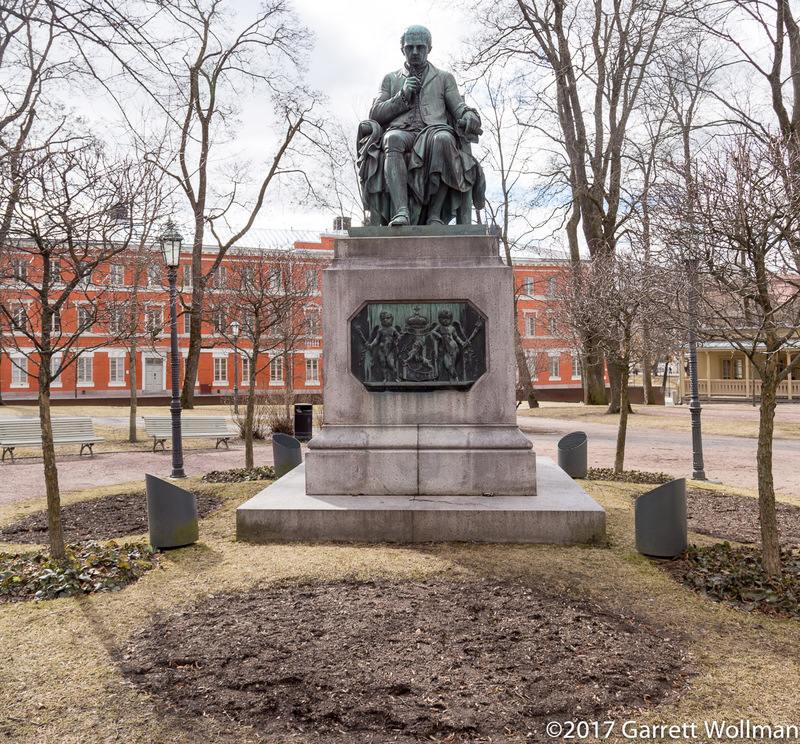 This is nearly the final post about my March–April, 2017, trip to Finland. I should have some Reykjavik pictures to post, if I can find the time and energy to edit them all (and remember what they were), but this is the last post with pictures actually from Finland. Back in the summer of 2016, when I was originally planning this trip, I thought I might take the ferry across the gulf to Tallinn, Estonia — but the Estonian government fell shortly after Trump’s election here, and there was a lot of chatter about the Russians maybe preparing to invade Estonia (which they haven’t yet done as of this writing) and put NATO to the test. So I decided that maybe that was a bit risky, and I should instead stay within Finland on my travels. 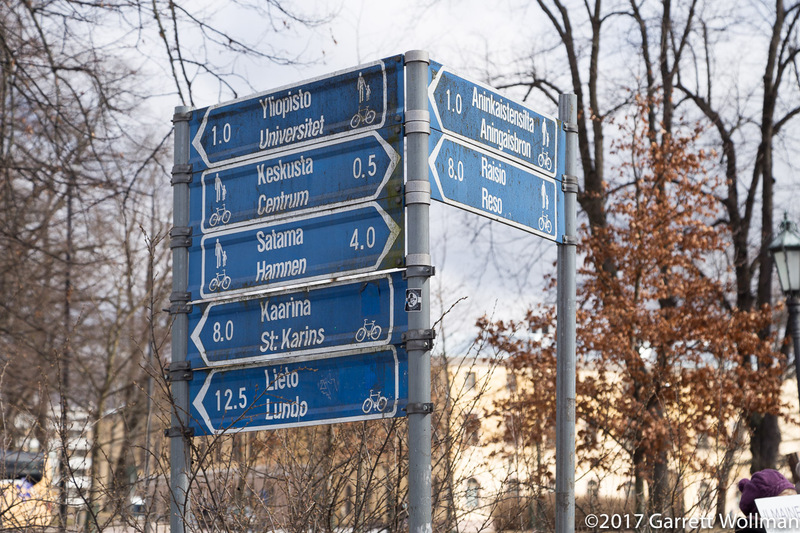 I could have spent another day wandering around Helsinki (there’s plenty there to see that I missed), but the obvious choice was to take the train to Turku, on the southwest coast, Finland’s historic capital. I’ve mentioned before in this series that I was an exchange student in Finland in 1988–89. 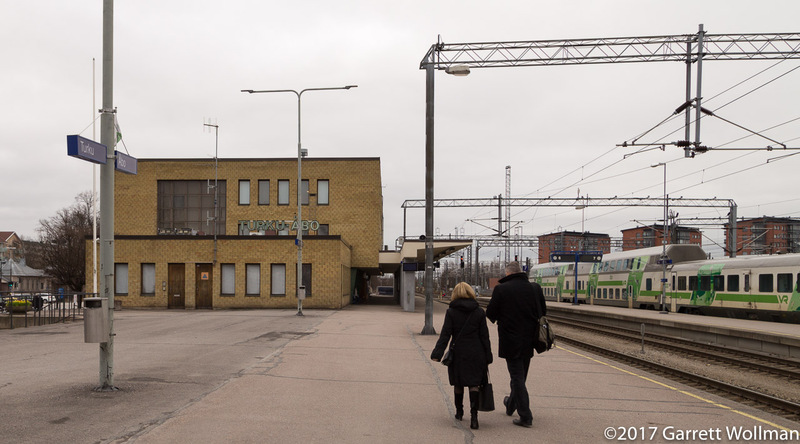 The first two months of that were spent in Turku, until, without any sort of warning, they kicked me out. I still have no idea why, but I was sent to live with a childless couple in a rural community in north-central Finland (now, since a wave of local government amalgamations, part of Kuopio). I have a great deal better memories from my time in Turku, all two months of it, than I do from the succeeding eight months in rural North Savonia. 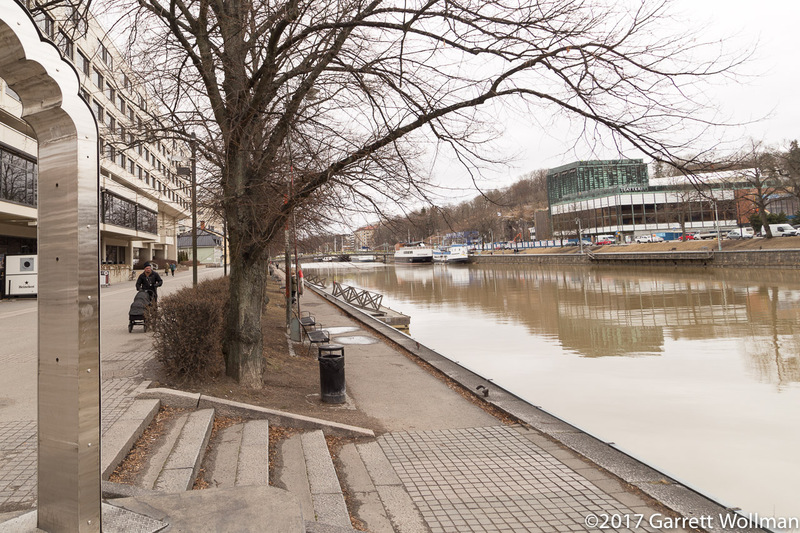 On going back, however, it became pretty clear how little of Turku I ever actually saw: the house where I was living, the school, the convenience store, the bank, the downtown shopping district. A bike shop, once, to buy a bike I could ride to school. On this trip — just a few hours, bookended by the two-hour train journey to and from Helsinki — I walked from the train station to the shopping district, ate lunch there, then headed south across the river Aura to find the house where my host family lived. (I never found the convenience store that I remember, which may mean that I didn’t follow the right route or that it just isn’t there any more.) I then walked to what I think is the school I attended for a few weeks, before heading back north through the old town square and back across the river to the train station again. 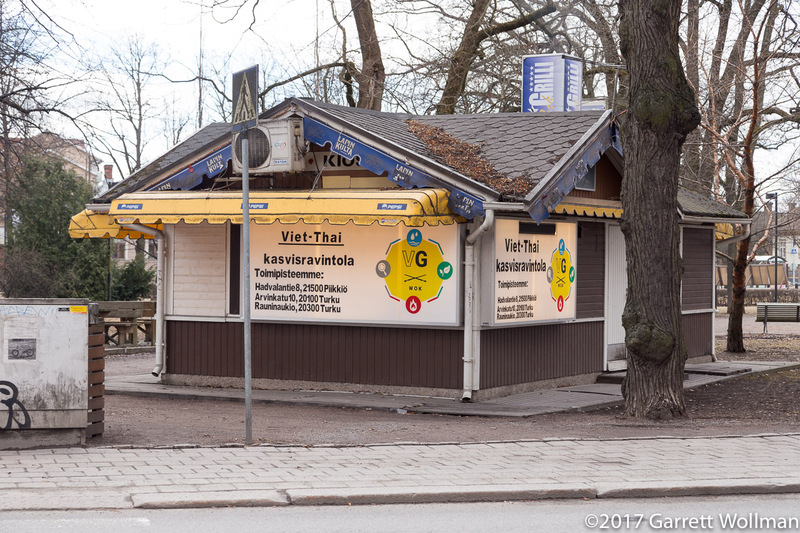 After Saarinen’s Helsingin Päärautatieasema, the corresponding station in downtown Turku is more than a bit of a let-down. I don’t know when this station was built, but it’s not much to look at, and the passengers don’t get any protection from the elements. I’m just walking south from the train station on Humalistonkatu taking pictures of interesting buildings. 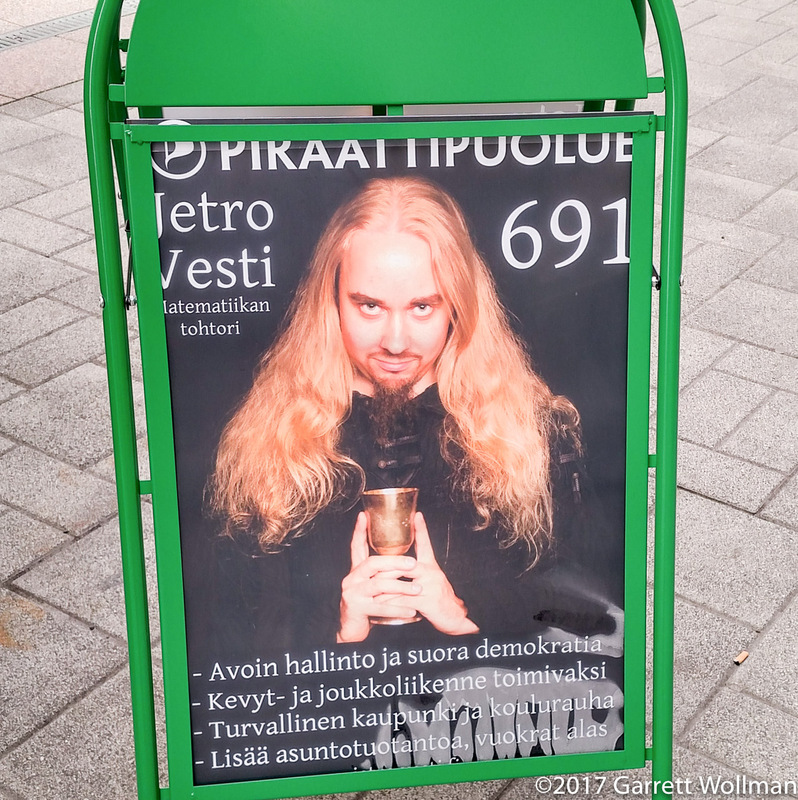 This one is at the corner of Rauhankatu. 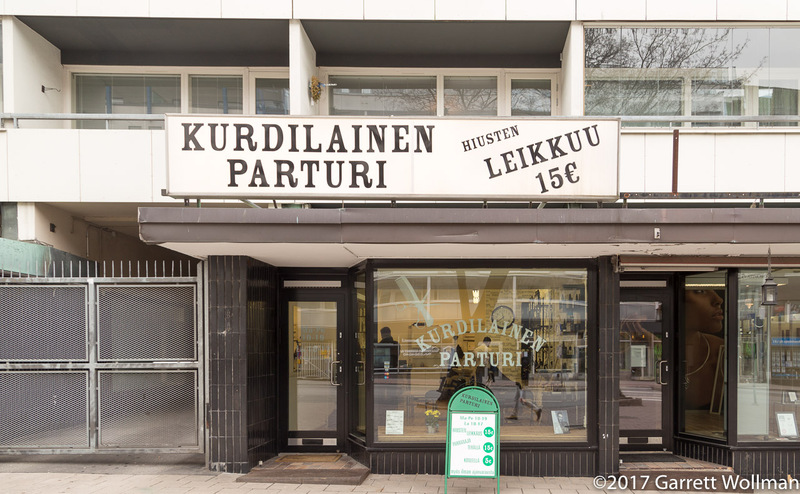 Still on Humalistonkatu, this is the Kurdilainen parturi, “Kurdish barber”. I had no idea that there was a Kurdish community in Finland anywhere, never mind Turku. It’s next to a kebab shop. Turku’s main downtown shopping streets are Yliopistonkatu and Eerikinkatu. 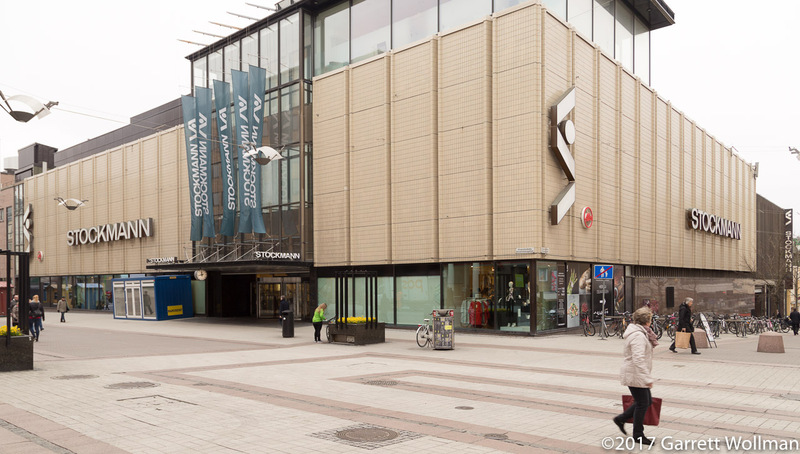 The Stockmann store occupies the entire block of Kristiinankatu between the two. I’m fairly certain that this building is way older than 1988 and that I actually was in this store a time or two during my brief sojourn in Turku. Turku market square, or Kauppatori, is located between Yliopistonkatu, Aurakatu, Eerikinkatu, and Kauppiaskatu. 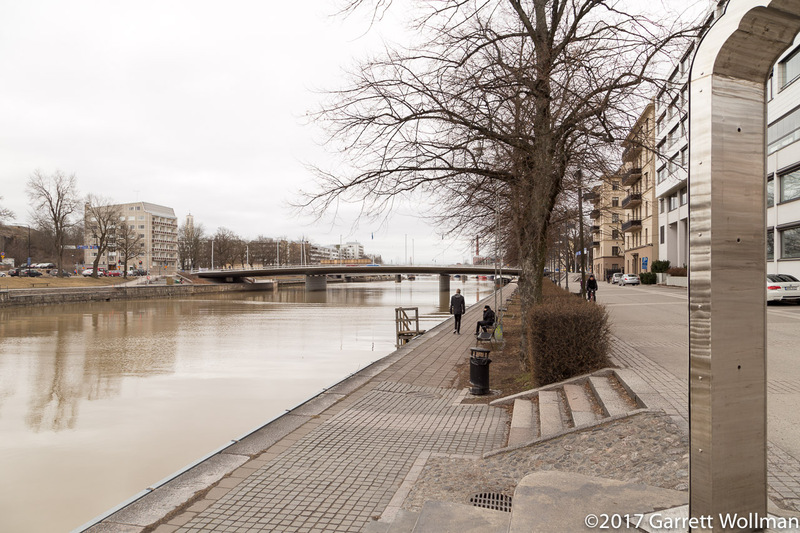 Turku’s downtown is actually rectilinear, although the street grid is offset from true by about 45 degrees. I’m fairly certain that this square is the first place ever in my life that I experienced audible pedestrian signal for the blind, now a common adaptation in cities everywhere. At the far corner, two large hotels, both operated by Sokos, face each other across Eerikinkatu; between them, the offices of Turun Sanomat , the local daily newspaper. TPS, Turun Palloseura, founded in 1922, is the local association-football and ice-hockey club. This appears to be a team store of some sort. The red signs advertise Auran Aallot, “Waves of the Aura”, a local commercial FM station, with which it shares common ownership (part of TS Group, publishers of the Turun Sanomat . I’m a sucker for these old market halls, even though nowadays they mostly are full of restaurants and fresh food stalls. 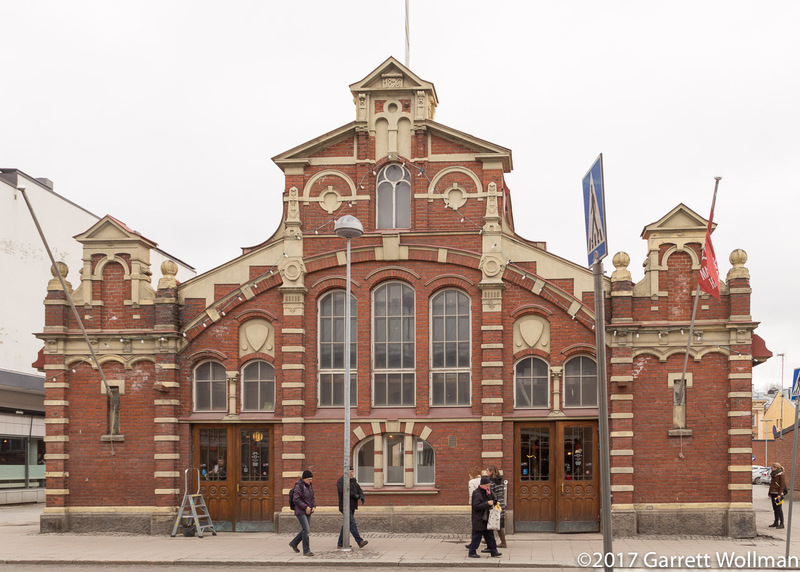 I actually made two visits to the Turku market hall, the second time entering the rear door from Linnankatu without even realizing that I had already been there. I walked west a few blocks on Eerikinkatu, retracing a walk I had made several times in the summer of 1988. 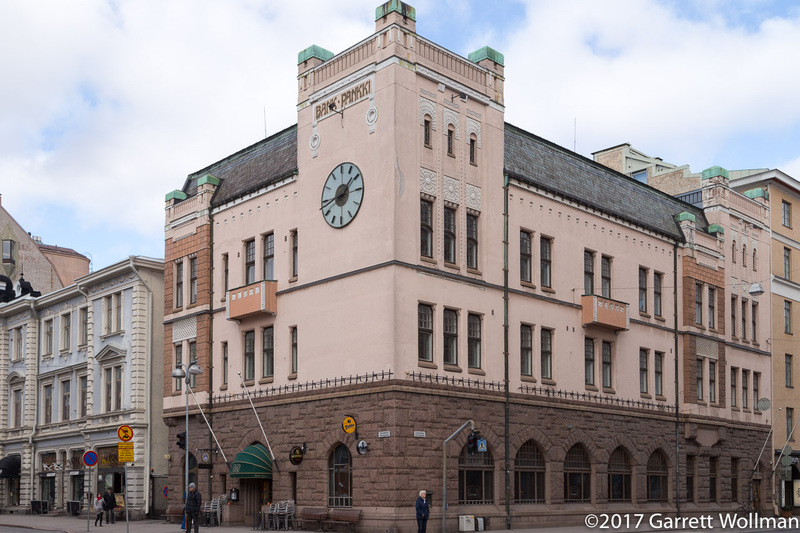 I’m certain I would never have noticed this Bank of Finland building back then, or indeed much of anything in the way of architecture or government buildings. 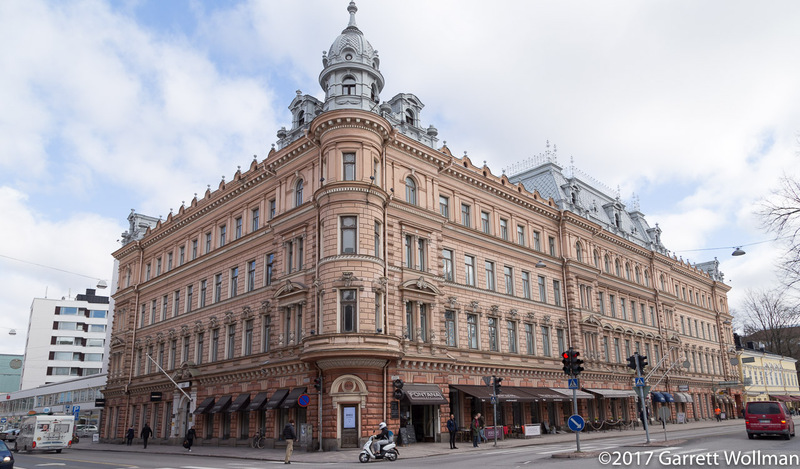 I continued my walk, jogging a block south to Linnankatu, and noted this old building. 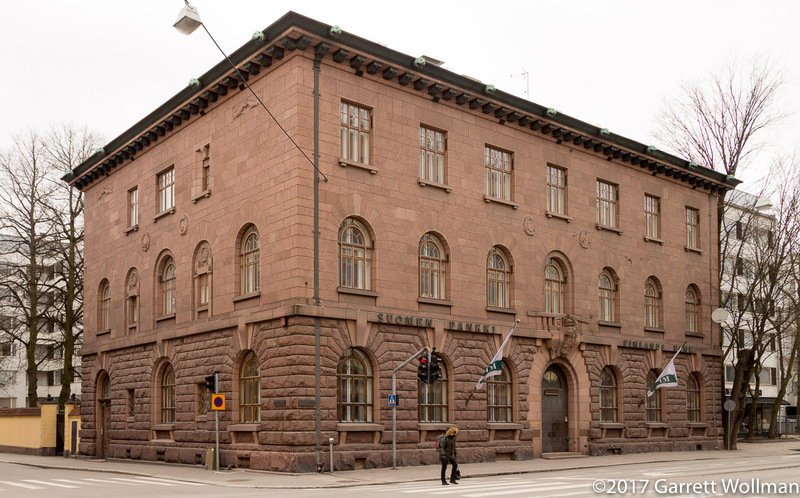 The plaque to the left of the door identifies the original tenant here as Turun Säästöpankki, Turku Savings Bank. Looking down Kristiinankatu towards the Aura, which divides the city along a roughly southwest-northeast line which defines the east-west axis of the downtown street grid. The oldest parts of the city are mainly east of here, but I’m making a big loop to see if I can find the house where I lived in the summer of 1988. I’ll cross the river shortly. On the other side of Linnankatu, I noticed this old commercial building. 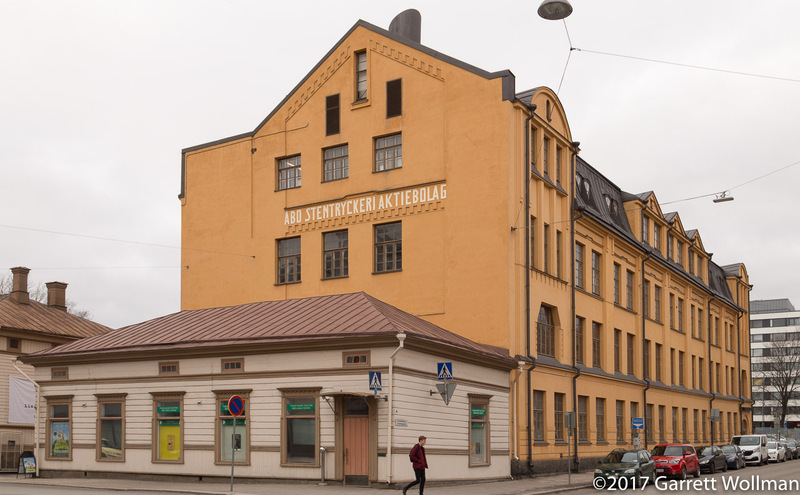 The Swedish name åbo Stentryckeri Aktiebolag translates as “Turku Lithography Corporation”. 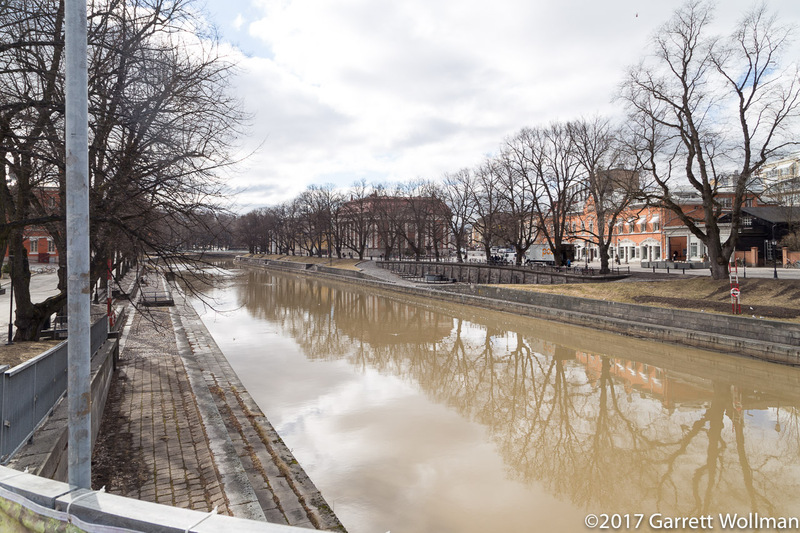 An embankment lines both sides of the Aura through this part of Turku. Looking south in this photo. That bridge in the distance is the one we would cross when walking or cycling from my hosts’ home to downtown. I don’t recall if this embankment was dressed up back then like it is now; I’m pretty sure the sculpture is new. From the same spot, but now looking northeast, towards the old town center. 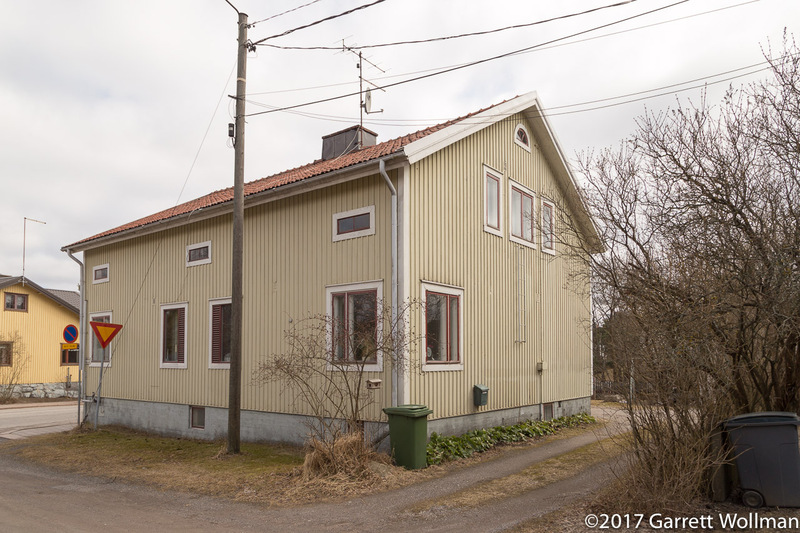 This was the house I lived in for my first two months in Finland. I suspect it’s been repainted, and probably re-sided, since I was there. My bedroom was on the ground floor at the far right corner (facing the garden — there’s a window you can’t see that looks out that way). 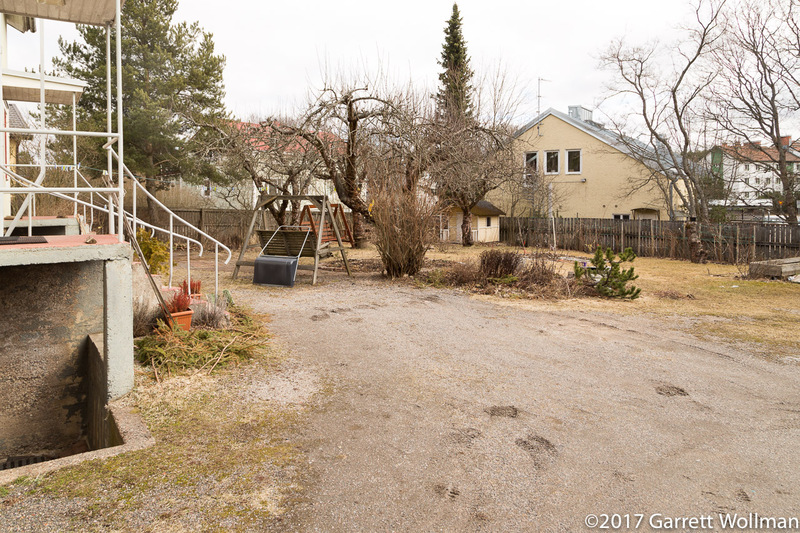 I recall being shocked by the presence of dirt roads in something that called itself a “city”; at 15 it seemed to me definitional that roads in a city were paved, but here in Finland’s third-largest city my host family lived on a dirt road. In July, 1988, only the VHF antenna was on the mast. 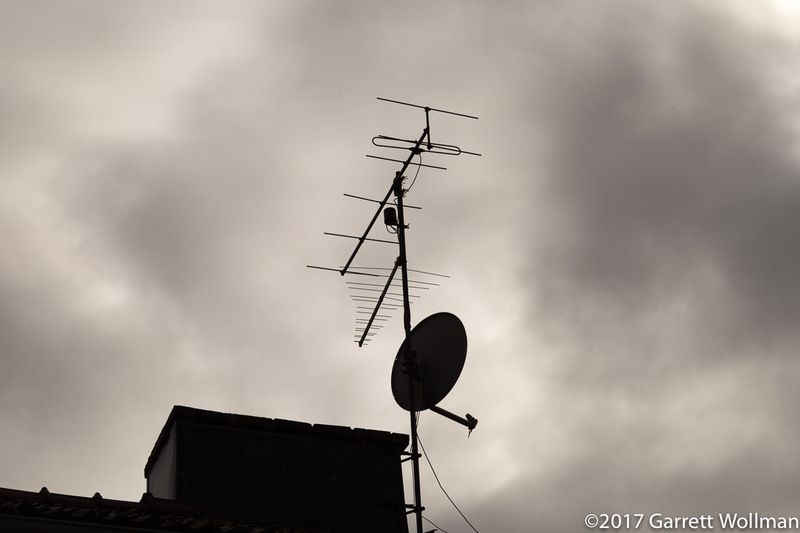 I somehow convinced them that they should install a UHF antenna, so that we could watch MTV3, the commercial TV station that had just started up. That happened a couple of weeks before I was kicked out. I do remember sitting in front of a small TV and running the “scan” function to find MTV and store it as a preset — this whole business of TV stations not being on the RF channel they’re named for was totally new to me. I recall there being rather more of a garden (in the American sense) back in 1988 — there were gooseberry bushes, if I remember correctly, and those seem to be all gone now. The sauna was in the basement, and we’d use it a couple times a week, even in high summer. This is Puropellon Koulu. I’m about as sure as I can be after 29 years that this is the school I attended in August, 1988. The mural, dated 1996 (eight years after my time as a student) is signed by Mikko Laine, Timo Koskinen, Väinö Nikkilä, and Timo Koski. 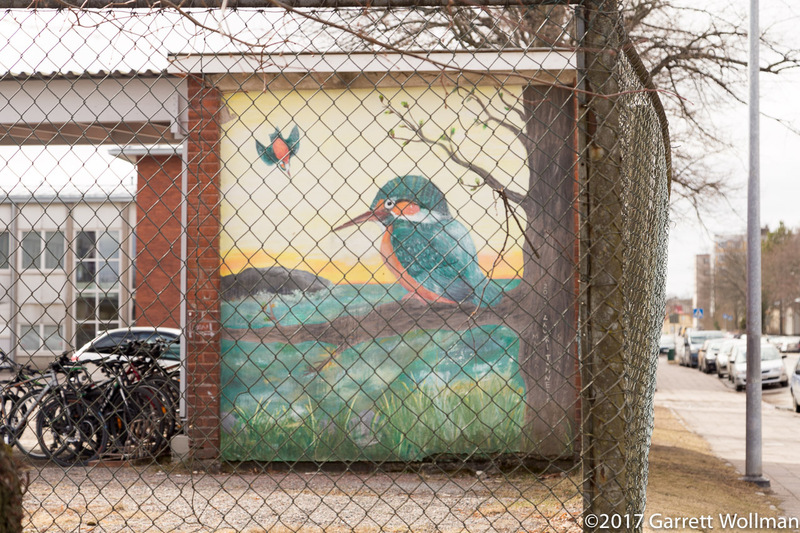 It is on a school outbuilding that I have no recollection of. Here’s another view of the school, from the “front” side. It looks not much different from the 1950s-era architecture of my high school in Vermont, except much larger. 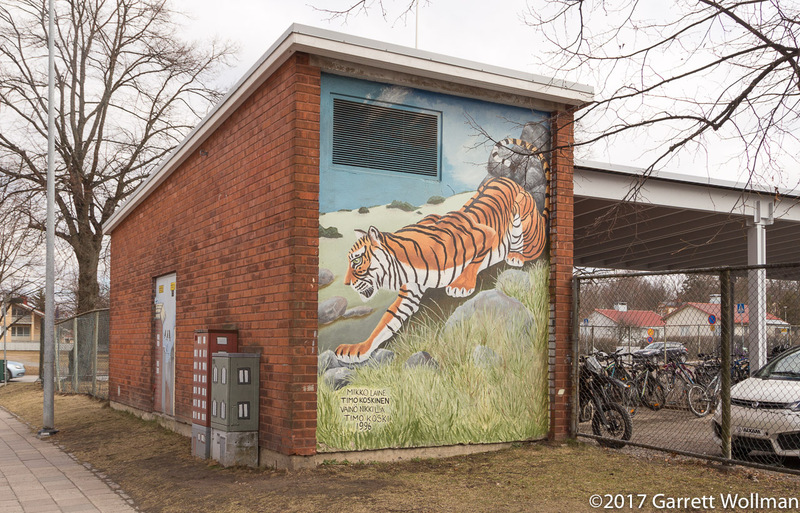 Another mural on the school outbuilding, this one is dated 2005. I have a suspicion that the chain-link fence wasn’t there in 1988, but no direct memory. 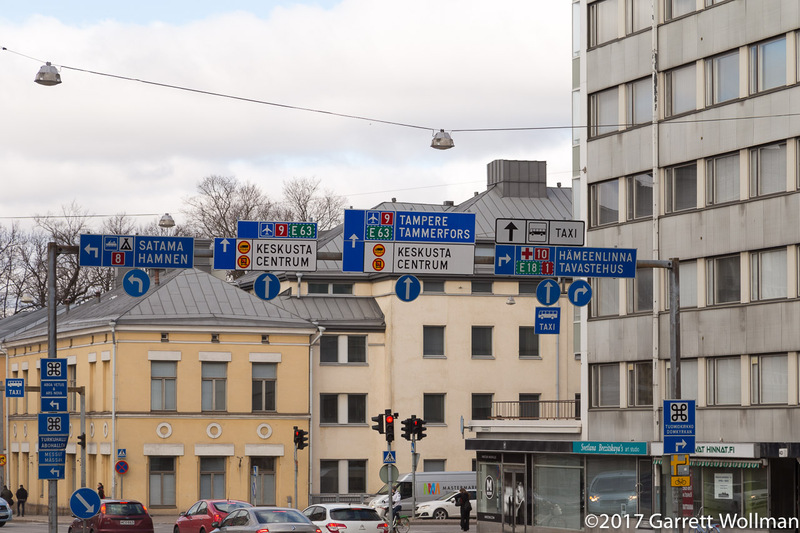 I didn’t see any major road junctions in Helsinki, but in Turku I saw the intersection of the 8, 9, and 10 national routes. There was a Grand Renumbering of the pan-European E-route system in the early 1990s, in which nearly all the numbers changed, so the main route from Turku to Helsinki that I remembered as the 1-3-E3 is now the E18 (and there’s now a freeway bypass of part of the old route). Similarly, the 5-9-E80 route south of Kuopio is now the E63. The dashed border around the route number is European for “to”. West of here, the E63 ends at Turku Harbor, but the E18 takes a ferry across the Gulf of Bothnia to Stockholm and then continues overland to Oslo. The E63 continues northeast from Turku to Kuopio, then north into Lapland, ending at Sodankylä, while the E18 continues east from Helsinki to St. Petersburg. This building is at the corner of Hämeenkatu and Uudenmaankatu, and I just thought it looked interesting. Secret decoder ring: When Finnish forms a compound word from a noun and an adjective, usually both parts of the compound participate in noun declension, just as if it were two separate words of a noun phrase. Thus, Uusimaa, the region and historic province where Helsinki is located, is analyzed as uusi+maa and thus in the genitive case becomes Uudenmaan (rather than *Uusimaan). So Uudenmaankatu is “the street of Uusimaa” (or in Swedish, Nylandsgatan). For what it’s worth, Finnish katu is a corruption of Swedish gata, which has an English reflex in the -gate ending seen in English towns of the Danelaw (the region of Norse/Danish occupation a thousand years ago). Like every Finnish city outside of Greater Helsinki, all public transportation in Turku is serviced by diesel buses. Uudenmaankatu is one of the major trunk roads into the city center, and more than 30 bus routes service it. 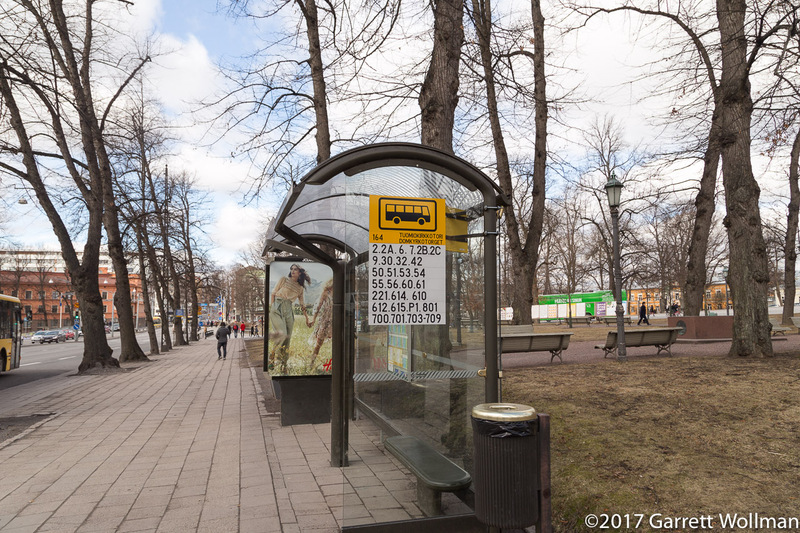 Back in 1988, I remember there being two bus operators, the city-owned TuKL and private Turun Liikenne, but as in other Finnish cities, transportation agencies have been significantly restructured since the 1980s. On the Helsinki Architecture post I showed you Helsingin Tuomiokirkko, Helsinki (Lutheran) Cathedral, so if I now tell you that this is Turun Tuomiokirkko, you should be able to figure out the rest! 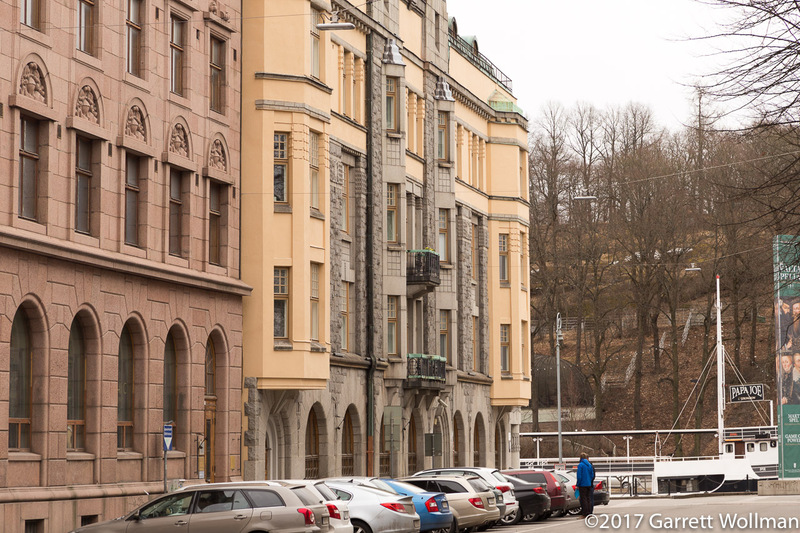 It’s located near the south bank of the Aura, across Uudenmaankatu from the old town square. The Sibelius Museum and University of Turku are both located northeast of here, but I did not leave so much time in my schedule that I could see them. I never saw any of this back in the summer of 1988. On the opposite side of Uudenmaankatu from the cathedral is Vanha Suurtori, translated somewhat clunkily as “The Old Great Square”. 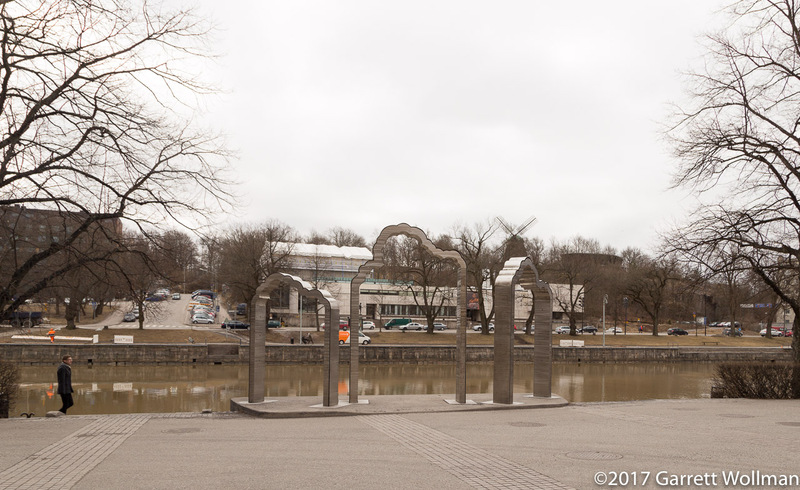 It’s historically Turku’s market square, along the banks of the Aura, but it’s now home to a park, some old buildings (including a market hall and some arts institutions), and the Cathedral School (Swedish: Katedralskolan i Åbo). Between my position and the square is a park, which marks where the buildings on the north side of the square used to be until they were destroyed by the Great Fire of 1827. 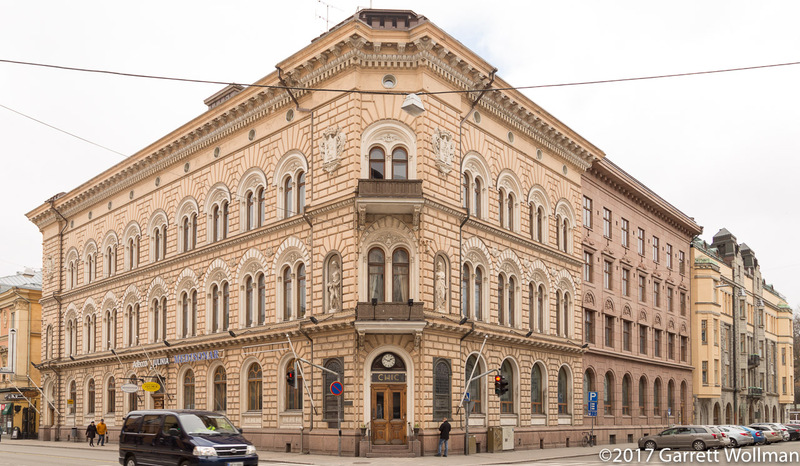 One of the buildings facing the square, Vanha Suurtori 7 is now home to the Centrum Balticum, an international NGO focusing on political, environmental, and security concerns facing countries bordering the Baltic Sea. 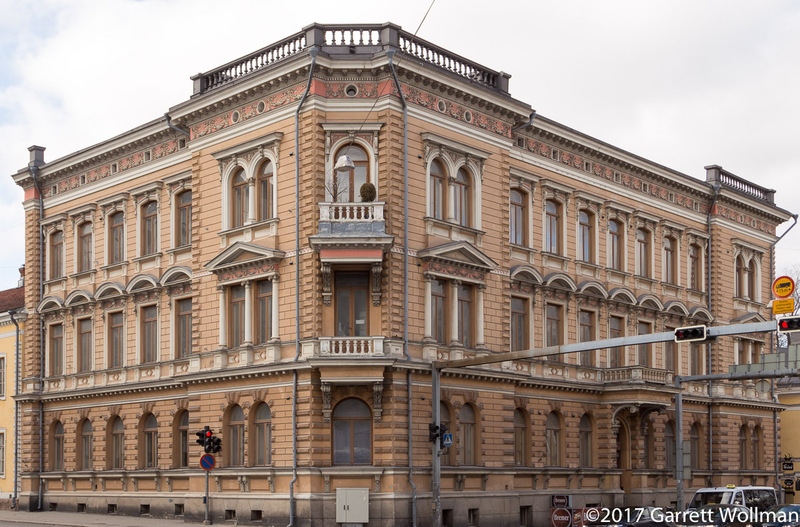 According to Wikipedia, it was originally the Hjelt Mansion, and is now Itämerentalo, Baltic House. The building is owned by the city. 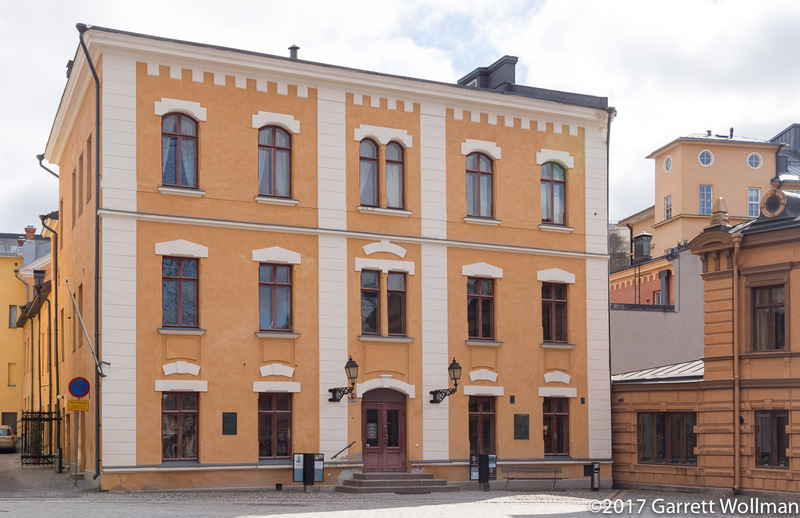 Immediately next door, at Vanha Suurtori 3, is a building called “the Old Town Hall” which never actually was a town hall. The actual old town hall was located here until the fire of 1827, and this house (says Wikipedia) was built upon what remained of the ruined structure after the fire. It was a factory into the 1920s, before being acquired by the city police. It’s now an art gallery and banquet hall. 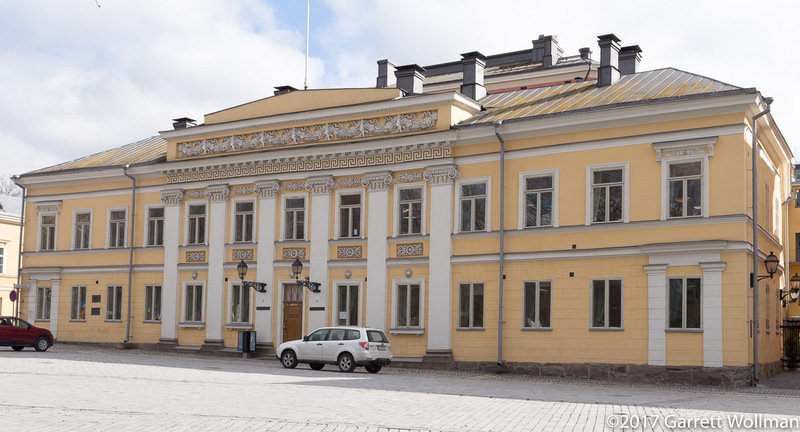 The Brinkkala mansion (Brinkkalan talo), on the west side of the square, is (like the Old Town Hall) used for arts events and public meetings. The final building on Old Great Square is this, the Cathedral School. 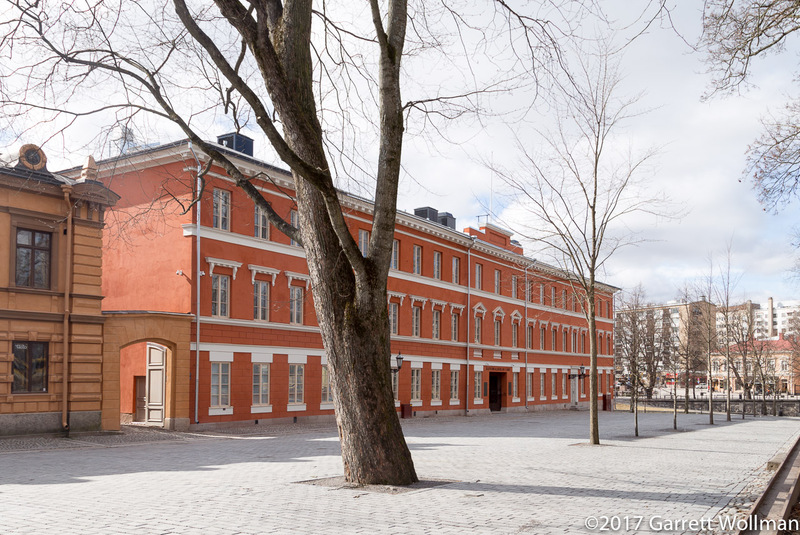 Founded in 1276, it is the oldest educational establishment in what is now Finland — although the current building, like the others now standing in the square, dates to the 1830s. 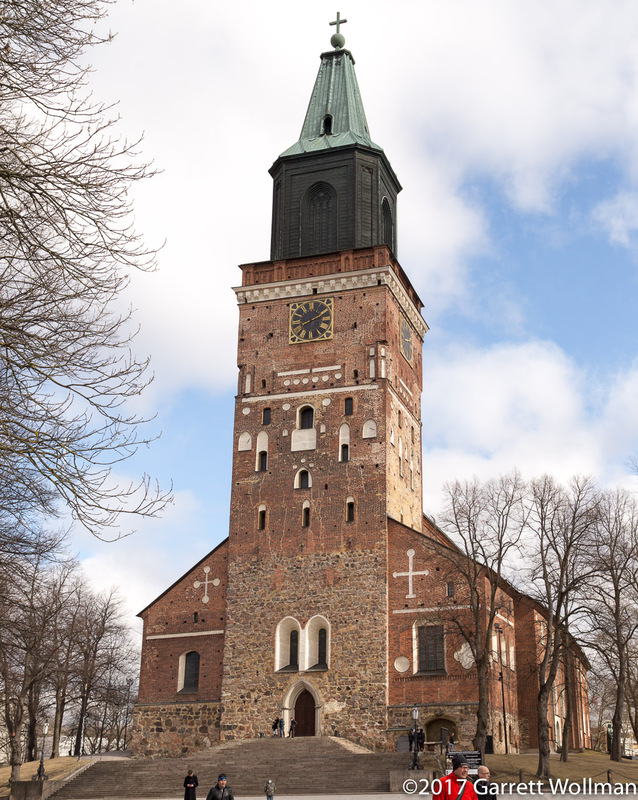 A 1977 educational reform resulted in the Cathedral School being integrated with the regular City of Turku public school system, and it is now a lukio, an “upper secondary” school for 15-to-18-year-olds intending to go to university. We’d call it a “prep school”, since the goal is to prepare pupils to take the university entrance exams. 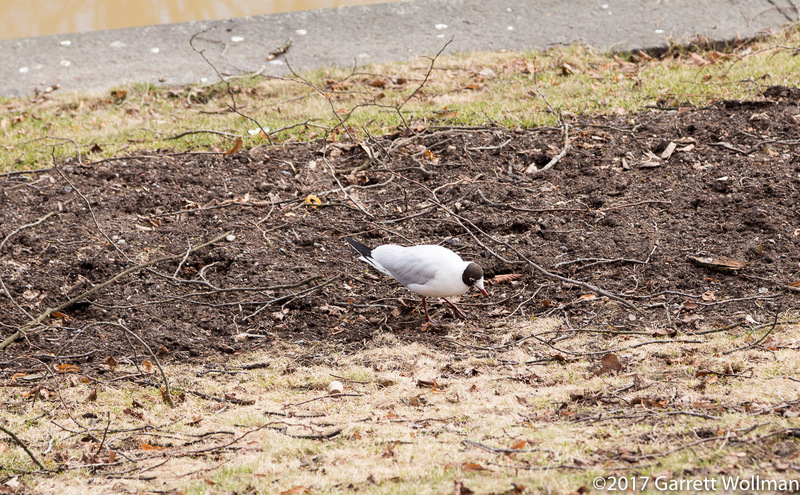 Sometimes I take pictures of birds, but I’m not a birder so I haven’t the faintest idea what this bird actually is. Looking southwest from the Uudenmaankatu bridge along the Aura towards contemporary downtown Turku. The public library is seen along the north bank at center. Presumably this is the same species of bird. Amazingly enough, I never saw the Turku City Library in my two months living here back in 1988. This is the old building, completed in 1903, funded by a gift from cigarette manufacturer Fredric von Rettig. The architect was Karl August Wrede af Elimä. 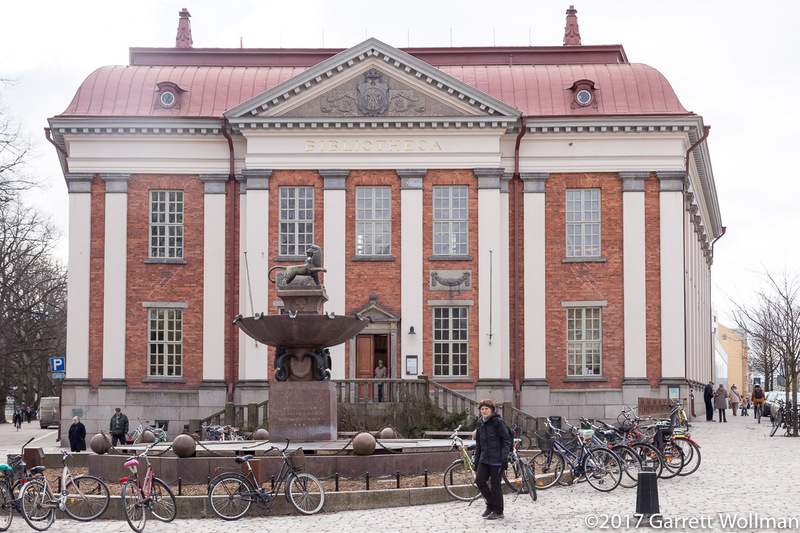 It became the city library of Turku in 1912. In 2007, this modernist new building was built, expanding the City Library by 5400 square meters. The architects were the firm JKMM Oy. An interesting looking building (another old bank!) at the corner of Aurakatu and Linnankatu. 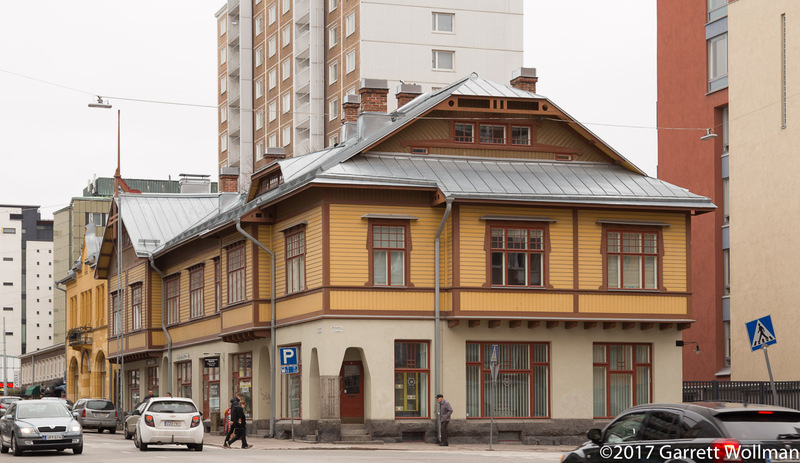 Here’s another old building at the corner of Aurakatu and Linnankatu. For the impending local elections, the political parties set up booths in areas of high pedestrian traffic to hand out flyers and campaign one-on-one with voters. 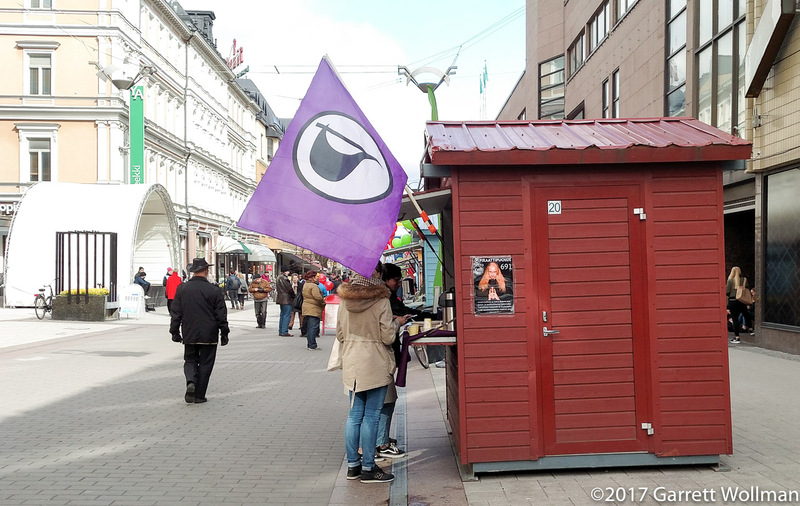 Along Yliopistonkatu, next to the H&M and Stockmann stores, there was a whole row of them, including all the major parties as well as the Christian Democrats and the Pirate Party. 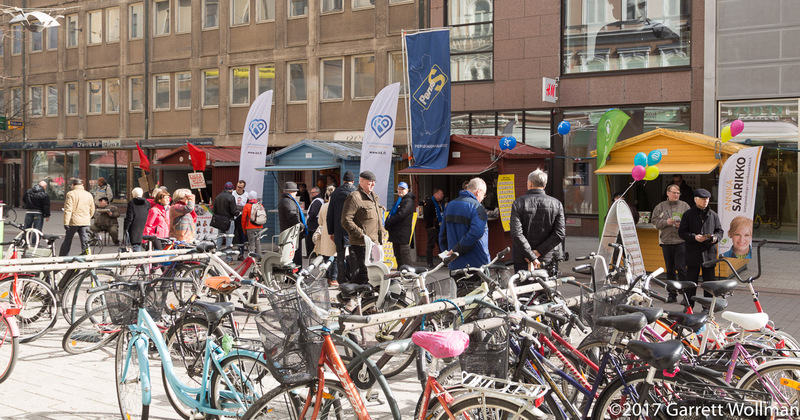 Seen here are the center-right Kokoomus and the Swedish People’s Party campaign booths. Here’s the booth of the Pirate Party. They didn’t manage to elect very many municipal councilors (only two nationwide, if I recall correctly). Yeah, like that dude is really going to make you want to vote for the Pirate Party list. I spotted this southeast Asian restaurant in a park along Humalistonkatu, on my way back to the train station. 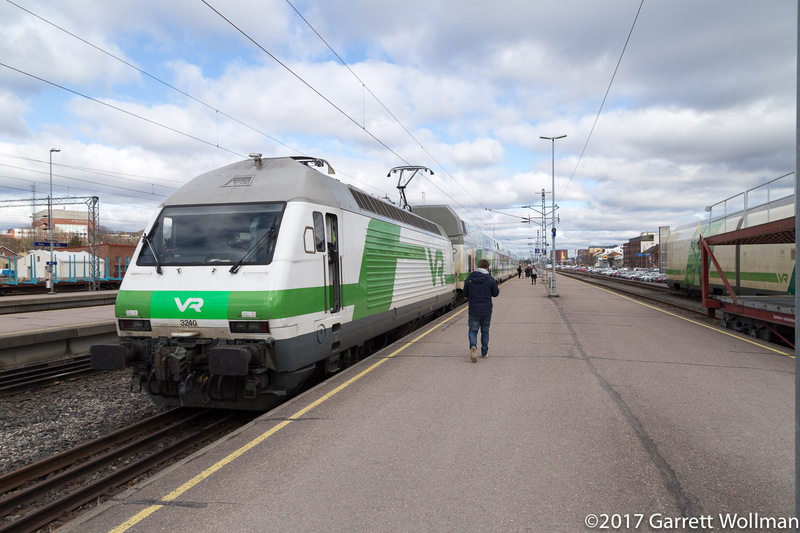 And this was my train back to Helsinki, a locomotive-hauled “InterCity” consist, operated in “push” mode (locomotive trailing). Gallery | This entry was posted in Language, Transportation, travel and tagged architecture, Finland, Turku. Bookmark the permalink. Great post. 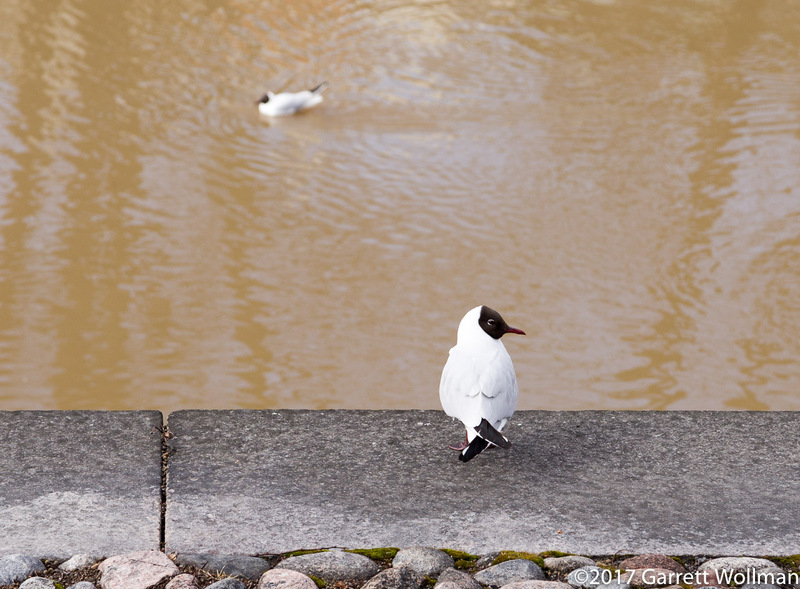 Very nice that You visited Turku again. It was a great joy to explore Your photos, which were crisp and clear. This summer Turku has a pleasure to receive again Tall Ships. I will visit to see them again.